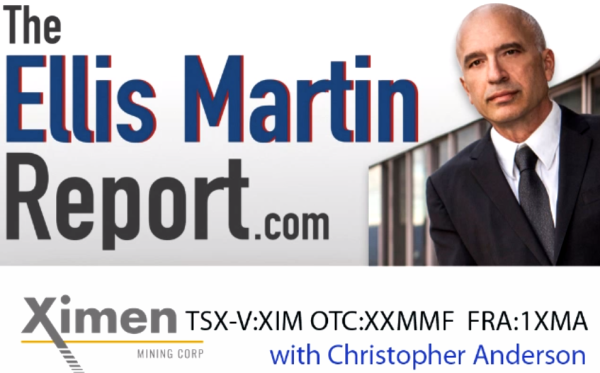 Report #10 on Ximen Mining Corp. (TSX.V: XIM; USA: XXMMF; Frankfurt: 1XMA). Shares Issued and Outstanding: 33,136,125 (Market Cap. : $26 Million CAD). 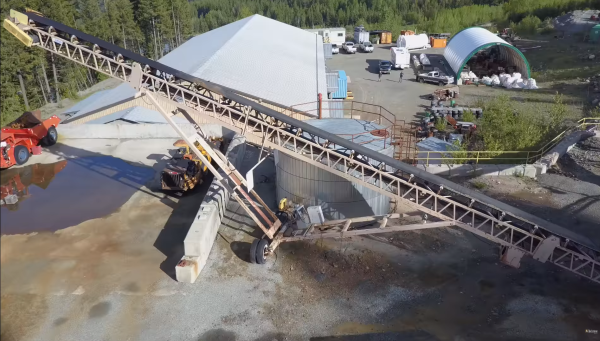 All Roads Lead to Greenwood: Golden Dawn Minerals‘ modern Greenwood Mill processing facility near the city of Greenwood in southern British Columbia, Canada. Although this report may seem a bit long, I can only urge you to read it all carefully as today’s news may also have implications for Ximen Mining Corp. going forward. Golden Dawn Minerals Inc. announced that Christopher Anderson has agreed to accept an appointment as the company’s Interim CEO and Director. Mr. Anderson also serves as President and CEO of Ximen Mining Corp.
Mr. Anderson intends to switch Golden Dawn’s lights back on, which may also benefit Ximen as the company owns 3 precious/base metals projects in southern British Columbia, with the Gold Drop Project being in proximity to Golden Dawn’s Greenwood Mill. 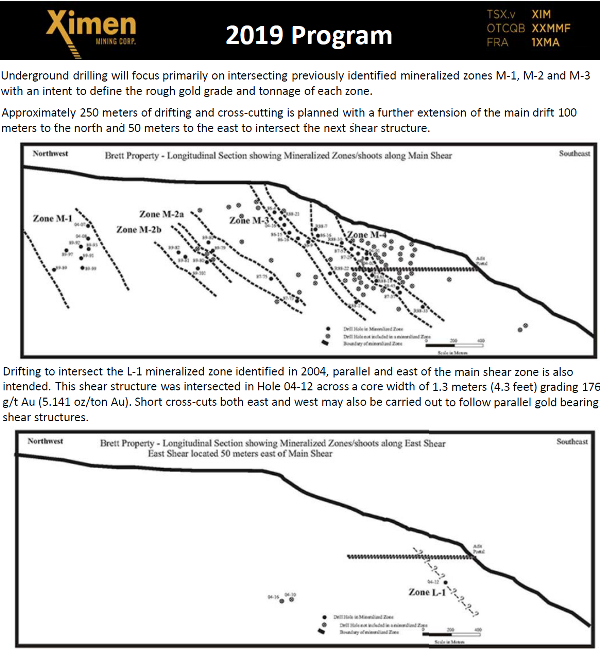 Today, Ximen and its option partner reported that the spring 2019 drilling program on the Gold Drop Property has begun. This may eventually turn out as one of North America’s highest grade gold-silver-tellurium projects, potentially advancing towards bulk sampling faster than many would have thought (until today). Same applies to Ximen’s 100% owned Brett Gold Project (2h drive to the Greenwood Mill), where underground workings already exist. Furthermore, Ximen last week reported its focus to acquire the past producing Kenville Gold Mine located in trucking distance to the Greenwood Mill. With today’s news adding the highly experienced mine manager Lloyd Penner to the Ximen team, the company obviously aims to aggressively advance "towards developing its mining activities on its various assets", as the company stated today. He oversaw a large drill program in 2010-2012, discovering several new high-grade veins at Kenville Mine property. Overall, the road(S) to success may begin today. Full size / The Greenwood Mill: In 2016, Golden Dawn acquired this asset, along with the past producing Lexington and Golden Crown mines, whereas the previous owner invested approximately $35 million to develop these assets. 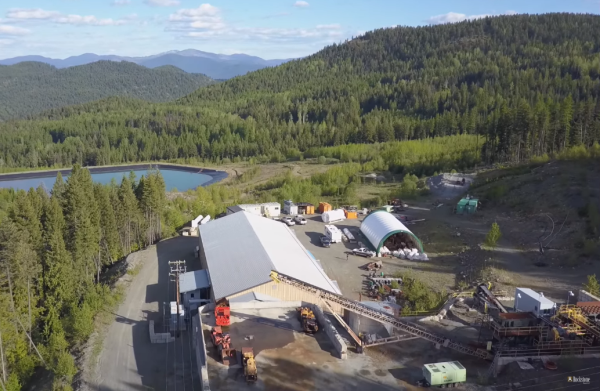 Last week, Ximen announced its plans on acquiring the past producing Kenville Gold Mine located near Nelson in southern British Columbia, Canada. When you connect the dots of the Greenwood Mill and the Kenville Mine on a map, the result is a mere distance of around 150 km on Highway #3 and #3A. That’s not a long trucking distance, especially when talking about high-grade gold quartz vein material. In mid-2010, the previous owner said that the Kenville Mine was “in production-ready state”, but the concurrent beginning of a bear market in gold appears to have put an end to that plan. 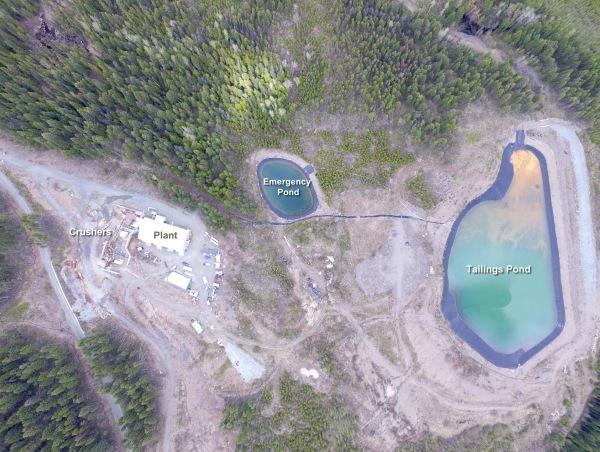 However even more importantly, the previous owner did not have a processing facility, not to speak of a tailings pond which would be difficult or impossible to get permitted as the mine property is located on the slope of a mountain, likely to even make the alternative of dry stack tailings unfeasible/unpermissable. 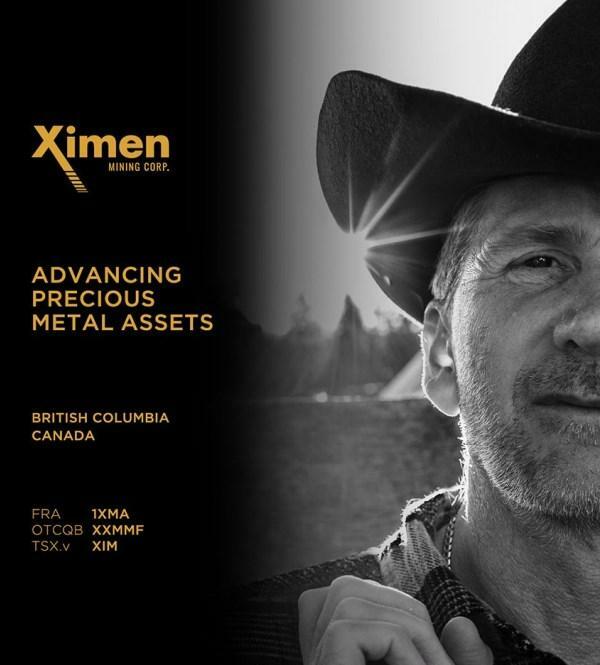 With gold prices on the rise again, the time could be ripe now for Ximen to write history in one of Canada’s most prolific gold mining districts, especially if an opportunity with an existing processing facility in southern British Columbia evolves. Frankly put: The Kenville Gold Mine has everything to lift your heart higher than the clouds – with the exception of a processing plant and a tailings pond. This missing key might have been the main reason why the previous operator could not succeed into production. There is something of utmost importance when planning to go into production: People. Today, Ximen announced the addition of Lloyd Penner to the Ximen team. Previously, he worked as mine manager for several projects and was also instrumental in discovering new high-grade vein systems in previously unexplored areas of the Kenville Mine property. He knows Kenville by heart, lives in Nelson, and thus is believed to be the perfect match for Ximen “focusing on assisting the company with its future plans and aspirations towards developing its mining activities on its various assets”, as Ximen noted. Another key for any exploration company with an intention to go into production: Processing Plant. However, the construction of a new processing facility, including a tailings pond and ancillary equipment, is not only very expensive but also highly time consuming, and oftentimes difficult or impossible to permit even in mining-friendly jurisdictions. Thousands of exploration companies exist globally, eager to spend millions of dollars for drill programs and economic studies, to hopefully delineate a mineable deposit over time. Yet even if a mining project turns out feasible on paper after many years, the essential question must be addressed: How to go into production? How to finance a required processing facility? The costs of a new processing plant are typically in the tens to hundreds of millions of dollars, sometimes even in the billion-dollar sphere. For such reason, many explorers do not bother about planning to go into production but rather wait (and hope) that eventually a major mining company comes by and buys the project. That’s because the alternative would be risky debt or dilutive equity financings, both of which can have devastating consequences for the company and/or shareholders as the past has shown countless times. For example, take a look at the well-known company Nemaska Lithium Inc. (TSX: NMX), which successfully delineated a “world-class” lithium deposit in Canada with hundreds of drill holes and highly positive project economics, only to subsequently undertake painfully dilutive equity financings to build a processing facility. Since its all-time high at $2.44, Nemaska’s stock imploded, currently trading at $0.32 CAD: An uninspiring performance of -87% despite being “successful” in what most others never accomplish: Going into production. This recent example demonstrates that for a company to be also successful at the stock exchange (i.e. producing happy shareholders) it is not decisive that you go into production but how. All the more brilliant may today’s move by Chris Anderson turn out in the future, on the one hand for Golden Dawn and potentially also for Ximen. Ximen currently has around 33 million shares issued and outstanding. Alone Mr. Anderson increased his holdings in Ximen to more than 4.3 million shares last year, whereas he also held some 2 million warrants and options (as per December 31, 2018), thus, if all exercised, controlling in excess of 6.3 million shares. Simply put: Ximen’s management and insiders have serious “skin in the game“, i.e. they put their money where their mouth is and have, accordingly, a lesser degree of interest for heavy dilution. Chris Anderson now has the reins in his hands to produce happy shareholders for Ximen andGolden Dawn as he is already a major shareholder of Ximen and possibly soon the principal shareholder of Golden Daw, too (last week, it was announced that Mr. Anderson has the opportunity to earn up to 15.5 million shares of Golden Dawn). A tight share structure with management and insiders holding large equity positions is one of the prerequisites of having sustainable success as a publicly listed company (in respect of creating shareholder value). Hand in Hand Pursuing the Same Goal? 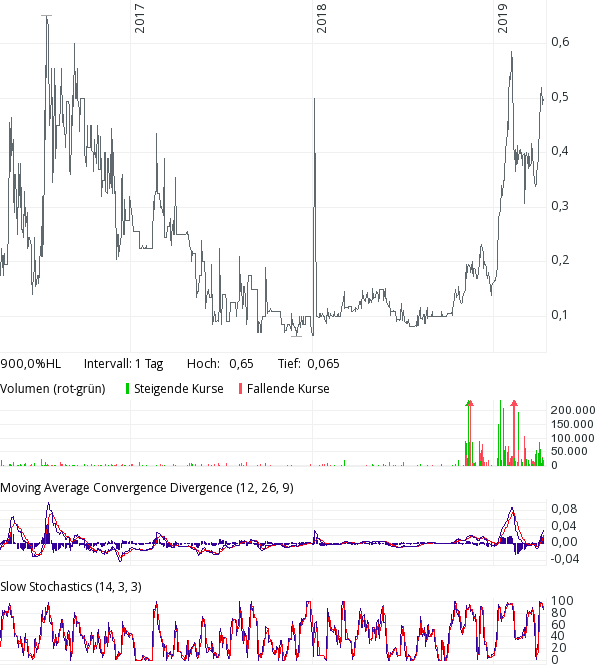 Mr. Anderson could be setting the course for what he may see ahead for Golden Dawn and Ximen: A golden opportunity for both companies pursuing the same goal synergistically. If Anderson can turn Golden Dawn’s lights back on, this could also have positive implications for Ximen as, for example, bulk samples from its projects could be tested at the Greenwood Mill processing plant. 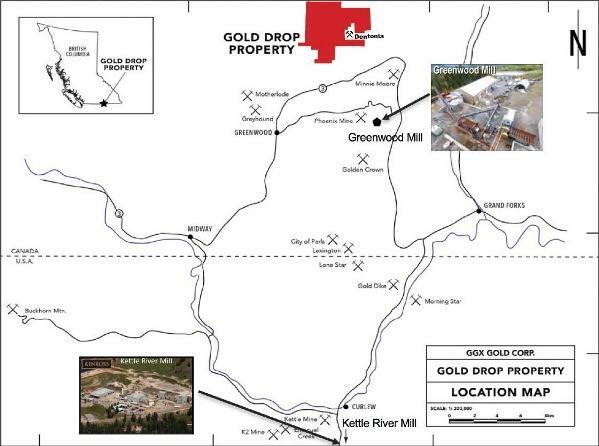 Ximen currently owns 100% of the Gold Drop Project, located only a few kilometers from the Greenwood Mill. Ximen‘s option partner, GGX Gold Corp., recently made headlines with drill results of “129 g/t gold and 1,154 g/t silver over 7.28 meter core length“, which ranks as the world‘s 7th best drill intercept of 2019. On top of that, these assays showed that tellurium grades have exceeded the upper analytical limits at the lab (i.e. 500 g/t tellurium), which prompted Ximen’s option partner to re-analyze the core for tellurium, also “due to multiple industry inquiries” as Ximen stated. On March 18, the exact tellurium grades were announced with “up to 3,860 g/t tellurium”, including “823 g/t tellurium over 7.28-meter core length” and “640 g/t tellurium over 6.90-meter core length”. Ximen’s option partner has produced some of the highest grade tellurium drill intercepts in the world over the 2018 drill season. See also Rockstone Report #8 “Industry inquiries persuade Ximen‘s partner to re-assay drill core for tellurium“ for more information on the importance of tellurium for the solar industry as well as Ximen’s note on “Tellurium’s Unique Value”. 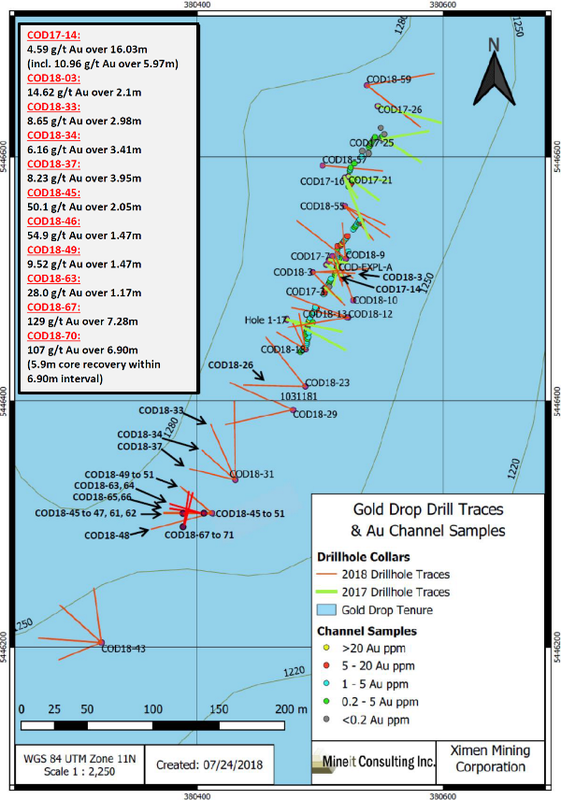 What makes above mentioned assays from hole COD18-70 at the C.O.D. Vein so impressive is that the high-grade quartz vein intersection occurs near surface, indicating a so-called “ore shoot“, possibly being, or leading to a “motherlode”-style feeder system, as GGX stated. 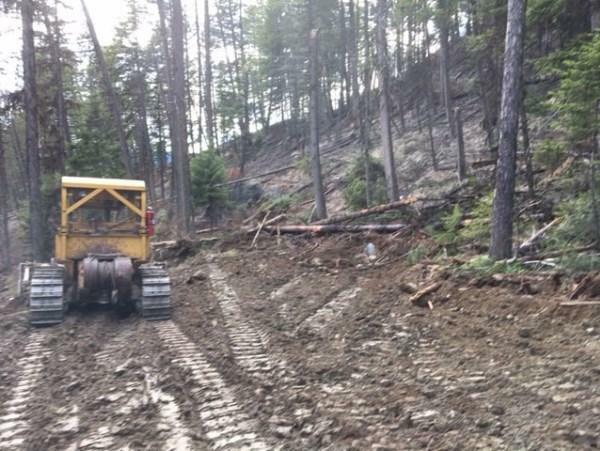 The near-by Dentonia Vein on the Dentonia Property averaged about 1 m in width, historically producing approximately 125,000 tonnes at an average grade of 10.8 g/t gold and 64.6 g/t silver (Minfile 082ESE055). Possible key to success: Ximen’s team member, Alex Mcpherson, worked underground at the Dentonia Mine and thus knows the area well, and how such veins are mined. He worked on many notable projects in North America. In British Columbia, he was also sinking shafts for Bralorne Gold Mines (note that Ximen‘s VP Exploration, Dr. Ball, held positions as President and COO at the Bralorne Gold Mine). 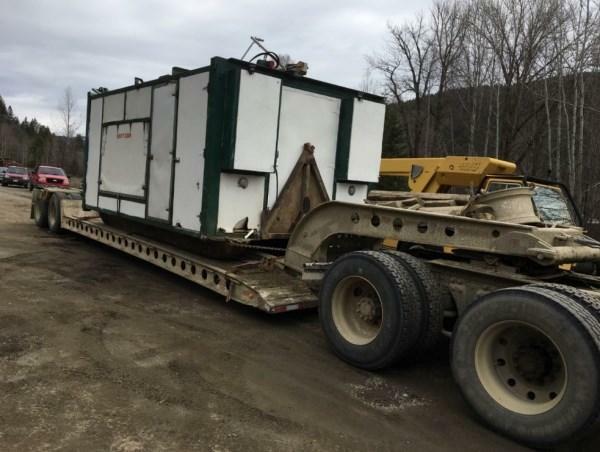 Mr. Mcpherson has decades of experience in mining and exploration, has done extensive underground work including drifting, stoping, sinking shafts, driving raises, timbering, blasting and much more for several companies. Another possible key to success: Ximen also has Peter Cooper on board who was involved in 3 successful new gold mine start-ups and oversaw projects from the exploration stage right up to production. He played a significant role in the exploration, pre-production and development of Kinross Gold Corp.‘s Buckhorn Gold Mine located in northern Washington State, close to Ximen’s Gold Drop Project. For many years, he served as Chief Geologist and then Manager of Operations at Kinross‘ Kettle River Mill, where the ore of the Buckhorn Gold Mine was processed. 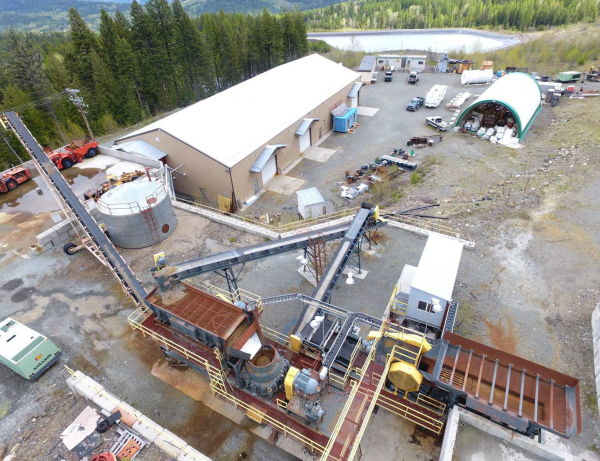 With the recent closure of Kinross‘ Buckhorn Gold Mine (depleted), Kinross might be looking for replacement feedstock to keep its large Kettle River Mill (capacity: 1,800 t/day) alive. However, there are also indications that Kinross is in the process of shutting down its Kettle River Mill, which would make the Greenwood Mill the only processing facility available in the camp. Full size / With only about 400 m of the potential 1,500 m strike length (based on soil and rock sampling) already being drilled off, the COD Vein remains open at depth, to the south, and to the north where gold showings are present some 100 m away, as a video from Ximen demonstrates. 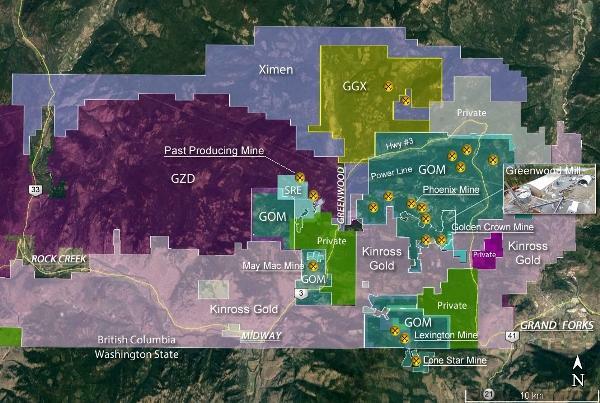 Full size / Ximen, GGX and Golden Dawn are controlling some of the largest properties in the Greenwood Mining Camp, whereas staking and acquisitions by others have increased lately. 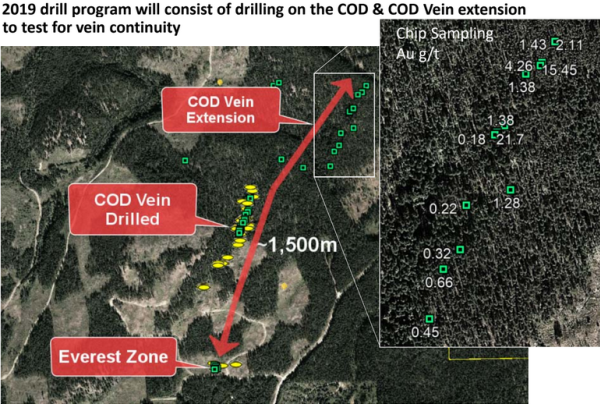 Today, Ximen also announced that its option partner has begun the spring 2019 drilling on the Gold Drop Property, focussing on the C.O.D. Vein (C.O.D. stands for “Continuation of Dentonia”; the Dentonia is another gold-quartz vein in the camp that was historically mined). The C.O.D Vein was first targeted in 2017. For 2019, the drilling will be initially aimed at extending and in-filling the ore shoot of high-grade gold-silver-tellurium mineralization that was intersected in 2018. Following this, the Everest vein to the south, and the C.O.D. extension to the north will be drill-tested. Below pictures from Ximen’s news-release show the arrival of drilling equipment and an excavator. 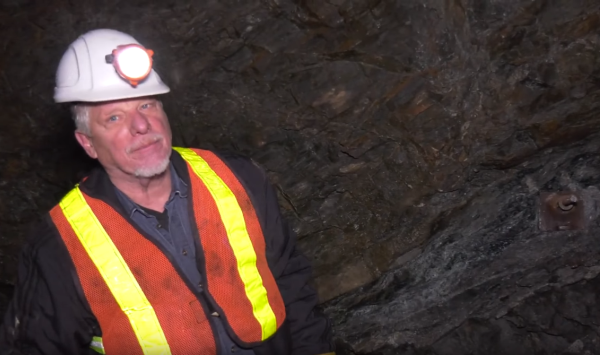 Rockstone is looking forward to follow Ximen‘s 2019 plans to aggressively advance its 100% owned Brett Epithermal Gold Project near the city of Vernon in southern British Columbia (a 2h drive to the Greenwood Mill). This large property (~20,000 hectares) hosts potential for both high-grade (bonanza grades) and low-grade (bulk tonnage) mineralization, possibly evolving as a candidate for blending with material from other projects stockpiled at a central processing facility. In this respect: What could make this project attractive is the potential for low sulfide mineralization, which translates into simple metallurgy (95% gold recovery). 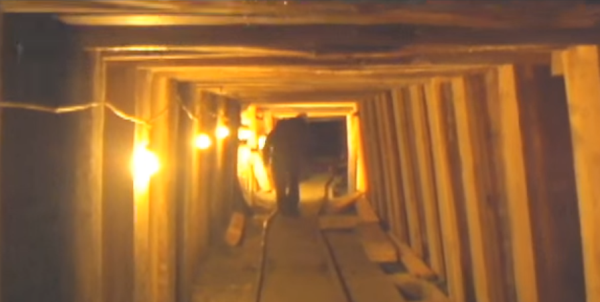 During strongly rising gold prices in 2007 and early 2008, the Greenwood Mill and the underground access of the Lexington Mine was completed. In April 2008, production commenced at a time when the gold price was starting to trend lower due to the global financial crisis. During the 9 months of operation, the gold price dropped sharply from around $1,000 to $700 USD/ounce. In December 2008, when the gold price just started to trend higher again, the previous owner (Merit Mining Corp.) ceased operations as the metal prices were obviously too low and costs too high. Golden Dawn´s 2016 Preliminary Economic Assessment (PEA) calculated all-in sustaining cash costs of 820 USD/oz gold, whereas the updated June 2017 PEA indicated all-in sustaining cash costs of 786/oz gold). Subsequently, the Lexington Mine and the Greenwood Mill were put on care and maintenance. 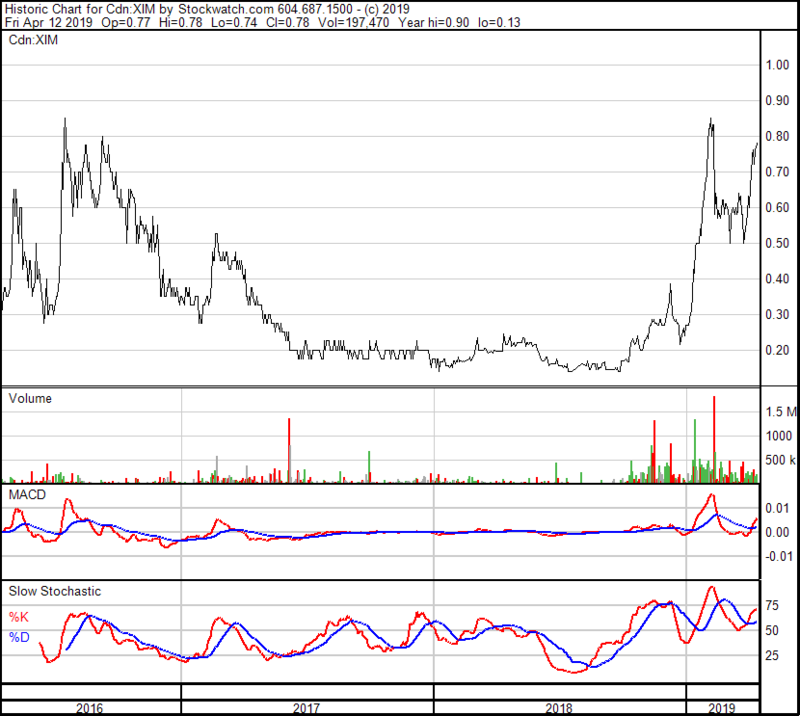 In early 2016, Golden Dawn acquired the Greenwood Mill along with the past producing Lexington and Golden Crown Mines, just about when the gold price ended a 4 year downtrend. Full size / The Greenwood Mill is a modern processing facility with a nominal daily throughput capacity of 212 t/day (72,000 t/year), upgradable to 424 t/day with the addition of a second primary grinding mill and modifications to existing rougher flotation circuit. 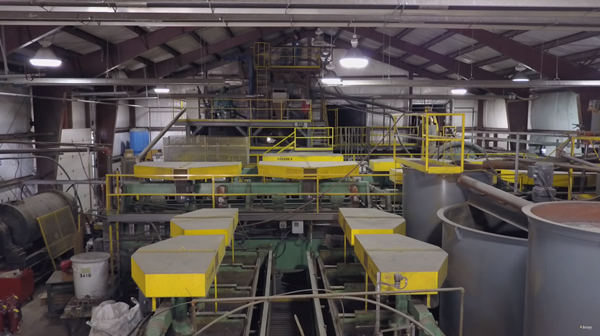 The mill‘s conventional processing can produce a gold gravity concentrate and copper-gold flotation concentrate, both marketable to smelters for immediate cash-flow. The near-by tailings pond, pictured above in the background, has a permitted capacity of 400,000 t.
In May, the company was eyeing to initiate trial mining in August 2018. A month later in June, Golden Dawn provided a last project update before announcing in July that Mr. Wiese is “unable to carry out the duties of his office due to a medical situation“. As no project or management update was reported thereafter – and as it became increasingly clear that Mr. Wiese may never return to the business world – Golden Dawn‘s share price declined from >$0.50 in early 2018 to $0.025 in late 2018, and currently trades at $0.055 with a market capitalization of around $4 million CAD (69,712,345 shares issued). Now, Chris Anderson has the opportunity to take the reins in his hands to achieve a turnaround for Golden Dawn and its shareholders, while simultaneously being the President and CEO of Ximen. Christopher R. Anderson (pictured above) is President, CEO and Director of Ximen Mining Corp. He brings over 30 years of entrepreneurial experience with an astute emphasis on strategic planning, communications and creative marketing. He has been instrumental in facilitating tens of millions of dollars of financing for both public and private enterprises. With a specific focus on mining over the last decade, Mr. Anderson successfully navigated the waters of one of the toughest bear markets in mining history. In February 2019, Ximen announced that Dr. Mathew Ball (P. Geo.) – Golden Dawn‘s Chief Geologist, COO, and Interim CEO – has been appointed as Ximen‘s Vice President of Exploration. 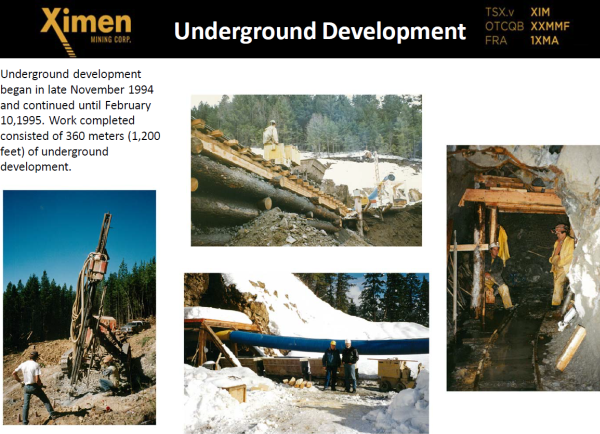 Dr. Ball is a highly experienced geologist who knows well the Greenwood District and the permitting procedures in British Columbia as he was working to get the Greenwood Mill facility, along with the Lexington Mine, permitted and operational for Golden Dawn. Before the many years that he worked for Golden Dawn, Dr. Ball was President and COO of the Bralorne Gold Mines in British Columbia. As per today‘s news from Golden Dawn, Dr. Ball “has agreed to continue to provide his services as Chief Operating Officer and has further agreed to accept an appointment as President of the Company“. As I have visited Golden Dawn‘s properties and its Greenwood Mill in May 2017, and personally met Dr. Ball, Mr. Wiese and his team for the first time there, I sincerely hope that Mr. Anderson can turn Golden Dawn around for the benefit of its shareholders and that he can finish the job which Dr. Ball and Mr. Wiese were working hard to achieve, and for what they successfully laid the essential groundwork. Mr. Wiese‘s many years of hard work to the age of 72 – along with his vision to revive the historic Greenwood Mining District with modern exploration, mining and processing for decades to come – will be remembered. Link to updated chart (15 min. 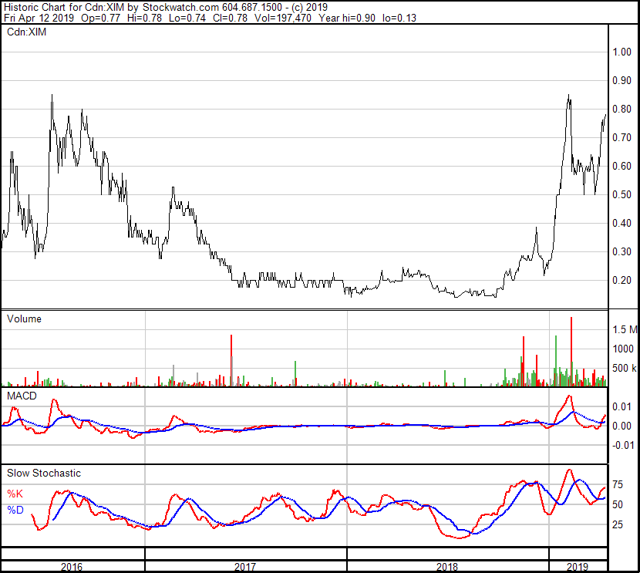 delayed): XIM.V - Ximen Mining Corp.
Link to updated chart (15 min. delayed): GOM.V - Golden Dawn Minerals Inc.
Disclosure: I am/we are long XXMMF, GDMRD.